We were a family of three on a holiday to Kullu-Manali from Mysore and decided to stop-over for half a day in one of India’s famed cities – Chandigarh-The City Beautiful. At about 3.30 p.m. we checked into a hotel in Chandigarh, refreshed quickly and set off for sightseeing. Given the short stay we never expected the experience in Punjab’s capital to be so memorable! Chandigarh was previously known to be India’s first ‘cleanest city’. We were awestruck at the beautifully manicured parks, gardens, fountains, boulevards, etc. throughout the city as we drove on its clean roads in our taxi. This city rightfully deserves to be called as the ‘Green City’ or the ‘City of Gardens’. 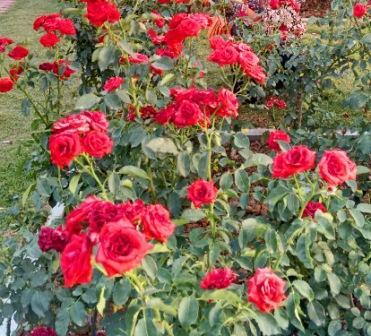 We first visited the ‘Rose Garden’ which surely was a treat for the eyes even during the summer month of April. There were hundreds of roses of all possible colours – pinks, reds, yellows, whites, purples, oranges and many more hybrid varieties. It was the first time we saw so many pretty roses in full bloom all at once! Had it been the spring season, the colourful gardens would have been even more breathtaking! Then, we reached the ‘Rock Garden’. My world! What an adventurous creation made with stones and rocks! 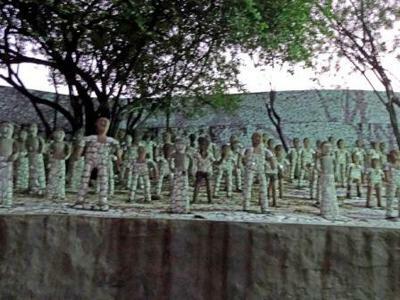 The most amazing fact about this place is that a single man named Nek Chand took to create such a vast splendour all by himself through his sheer talent, grit, determination and imagination. across acres of inundated and rugged landscape. For a long while, we felt lost in the thick, stony, jungly maze; very eerie at certain spots, so much like the scenes of a suspense thriller movie. 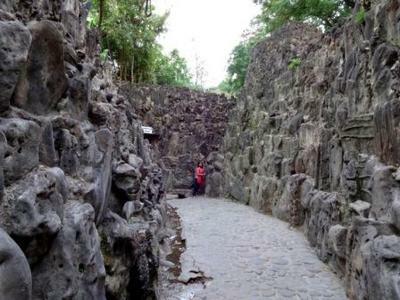 Very narrowly walled passages suddenly opened up to airy and spacious areas designed with waterfalls and tiny bridges; sometimes we walked into unexpected room enclosures with innumerous man-made figures of small animals, children, birds etc. all made out of scrap items like tiles, ceramic pots, glasses and other such wastes; and sometimes a series of stairs landed us on an open arena. 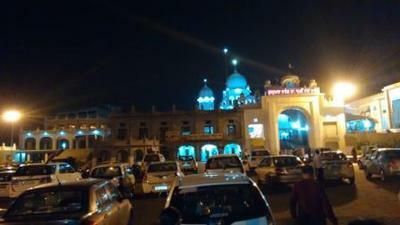 Heaving a sigh of satisfaction, we proceeded to one of the biggest Gurudwaras in Chandigarh. This was the place indeed to offer our honest prayers and thanks to the almighty residing in a serene, calm and scintillating monument. Seated in the main hall, we felt an enormous peace in our minds, not wanting to get up at all. But we forced ourselves, and came out of the holy place with the wonderful taste of the ‘prasad’ lingering in our throats. Lastly, we stopped by at the Sukhna lake which had grown quiet by the night. We immersed ourselves in the cool breeze by the waters for a few minutes and soon headed back to our hotel where a mouth-watering dinner feast was waiting for us. With so many incredible memories of the day, we pushed ourselves under the rugs for the rest of the night.